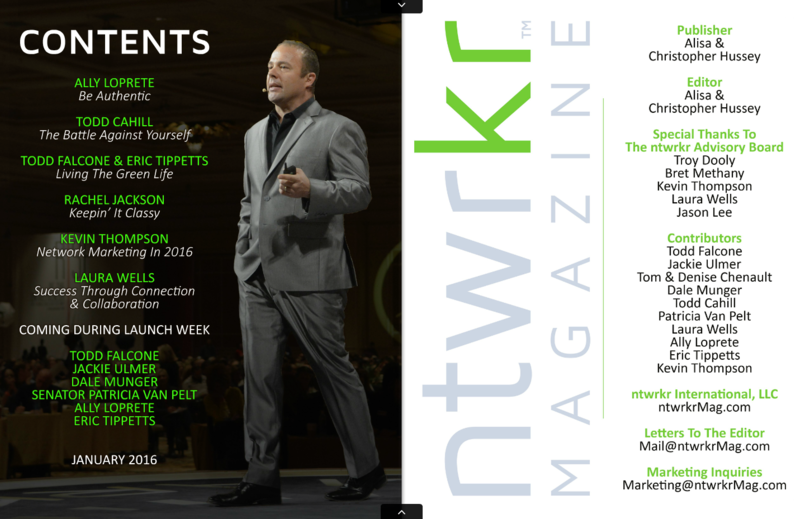 MLM Community: Launch Of The Network Marketing Magazine! This week in the MLM Community something special happened. 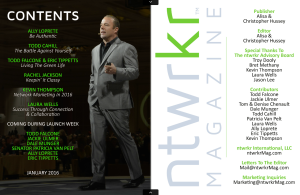 My friends Christopher and Alisa Hussey launched the Network Marketing Magazine (ntwrkr Magazine) this week and it’s awesome. In the Inaugural Issue, there are articles from Top Network Marketers like Ally Loprete and Todd Cahill. Also featured are Industry greats, Rachel Jackson, Kevin Thompson and Laura Wells. During the Launch week, they will Top Legends, Todd Falcone, Jackie Ulmer, Dale Munger, Senator Patricia Van Pelt and Eric Tippetts. Christoper and Alisa Hussey are Top Network Marketers in their own rights and have put their vision to have a Digital Network Marketers Magazine into a reality. The Hussey’s desire was to create a Magazine that would serve the MLM Community of Network Marketers and just that. They are driven to help Networkers build their businesses and have success in every area of the Network Marketing careers. If you haven’t got your subscription to this incredible magazine then you need to do that NOW! VIDEO: MLM Community: Launch Of The Network Marketing Magazine! If you enjoyed this post, MLM Community: Launch Of The Network Marketing Magazine, then you will like this one too… 3 Top Marketing Strategies For Network Marketers. That is awesome!! Going to have and check it out for sure! Thanks for this! That’s wonderful news, Ron! Thanks for sharing. I’m definitely gonna look into getting a subscription. How exciting is this! 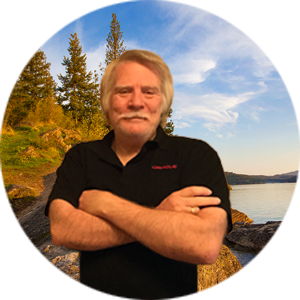 Thanks Ron for sharing 🙂 I am way ahead of ya, loving that network marketing finally has a go to resource that we all can benefit from!!! Very exciting news! Thanks for sharing, Ron! Super Exciting This NTWORKER Magazine is Being Launched Love this!! Thank you Ron!! Awesome, looking to get a subcription. Thanks for sharing, this should be a great resource. I got it on my list to get right away! Hey Ron, I saw this coming out and got on the list right away. It really looks like there will a lot of great content.